Here at Dallas Lease Returns, we believe that the Toyota Tundra is an underrated vehicle, especially when compared to its competitors!Keep reading to learn 3 Reasons Why You Should Consider Purchasing a Toyota Tundra today! New, the Tundra tends to come in at a better price than its competition. With so many comparable features and even better performance of the Toyota Tundra, it’s crazy to pay more! 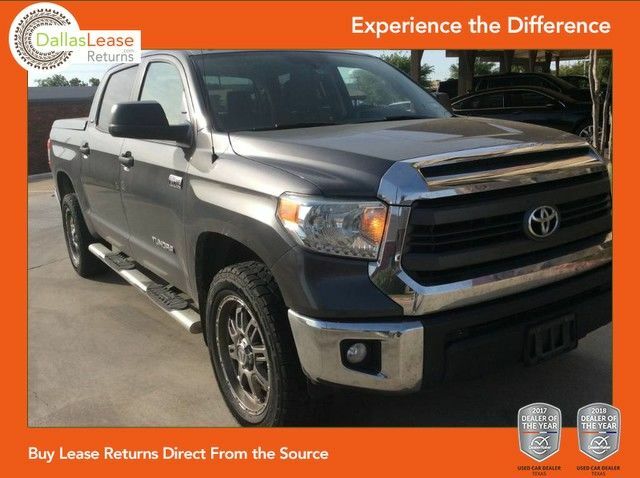 Here at Dallas Lease Returns, you will be able to save even more money on the Tundra! We have several great quality Tundras in our inventory! If you plan to use your pickup for more than just looks, the towing capacity is unmatched on the Toyota Tundra. The Tundra can take up to 8,900 pounds of weight, while its Chevrolet competitor can only handle 6,100. Both are nothing to scoff at, but why settle for less? It’s been proven that the Toyota Tundra can be taken more than 1 million miles without a huge need for repair. One man demonstrated this with his 2007 Toyota Tundra! With only regular maintenance, his Tundra lasted one million miles. This shows the reliability and quality of the Tundra. If you’re interested in learning more about the Toyota Tundra, check out our website or call 214-960-1388!